﻿ Best Price on Bachelor Inn Hotel in Belize City + Reviews! 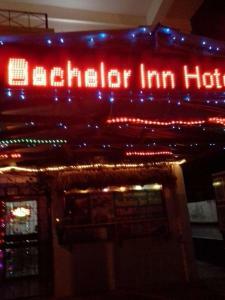 Bachelor Inn Hotel is located in Belize City and features a terrace. Each room at the 3-star inn has garden views and free WiFi. The in-house restaurant serves American cuisine. Guest rooms comes with air conditioning, a TV with satellite channels, a coffee machine, a shower, free toiletries and a desk. All rooms come with a private bathroom, and certain rooms have a balcony. All guest rooms come with a seating area. Belize Harbor is 2.8 miles from the inn. Philip Goldson International Airport is 9 miles away. Taxi ride from airport to hotel is 25 U.S. Dollars.